I was psyched to see an perfect equal-parts Manhattan take the top spot in Woodford Reserve’s recent drink competition. Even the extra touches — 2 dashes bitters, 2 dashes absinthe — measure out in equal parts! That’s Jonathan Howard, a Nashville, TN bartender, in the photo above pouring out multiples of his drink for the lucky judges. Grab a Lewis bag and crack several pieces of large format ice. Combine all ingredients in a mixing glass with cracked ice. Stir and strain into a chilled cocktail glass. Garnish with a lemon twist. UPDATED 8/17: Oops! It was helpfully pointed out to me that a “perfect” Manhattan means equal parts sweet and dry vermouth – NOT equal parts whiskey and vermouth. Now corrected above. It’s a good thing I never claimed to be “perfect” myself, ha ha. The past month, I was asked to judge the Star of the Bar cocktail contest — and this cocoa-and-spice equal-parts stunner with just a hint of grapefruit (created by Matt Friedlander) was the NYC regional winner. No, it didn’t win because it measured out in equal proportions. But it sure didn’t hurt. Combine all ingredients except bitters and grapefruit peel in a large mixing glass. Stir over ice for approximately 20 seconds and strain into rocks glass over fresh ice. Garnish with bitters and grapefruit peel. Shake with ice, and strain into a chilled coupe. I haven’t posted much here lately — and one reason for that is I’ve been at work on a new book project. The book is all about what bartenders call “equal parts” cocktails: drinks made with exactly equal proportions of ingredients. The Negroni (equal parts gin, Campari and sweet vermouth) may be the best-known version right now. But there are scores of others, too. I compiled about 50 of my favorites into the book, Sip. Shake. Stir., which will be published by Chronicle Books in fall 2016. Of course, as soon as I turned in the manuscript I started noticing amazing equal-parters that I had missed. Plus bartenders create new ones all the time. 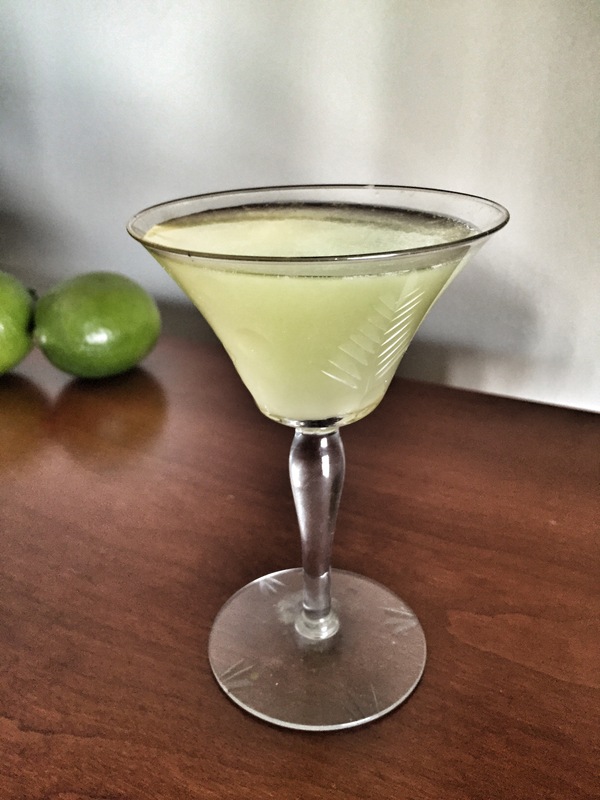 So I’m committing to posting one new equal parts cocktail each month until the book drops. 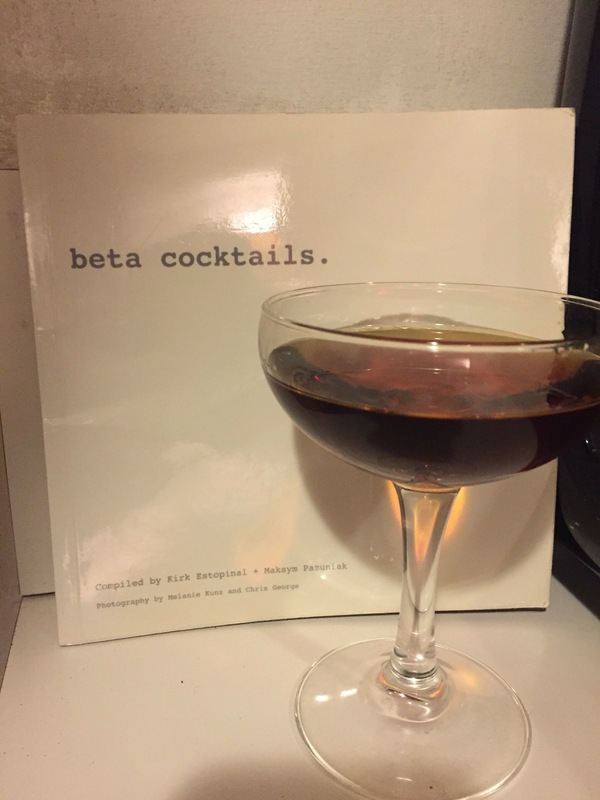 First up is The Warning Label, as published in a great little book called Beta Cocktails. It’s bitter and spirits-forward, like most of the drinks in the book. And to make it even more bitter, the glass is rinsed with Campari, maybe the only instance where the ruby liqueur isn’t used to add color. Stir and strain into a glass rinsed with Campari. Garnish with a lemon twist. 1. It’s sparkling, and you know you need something bubbly for toasting at midnight. 2. 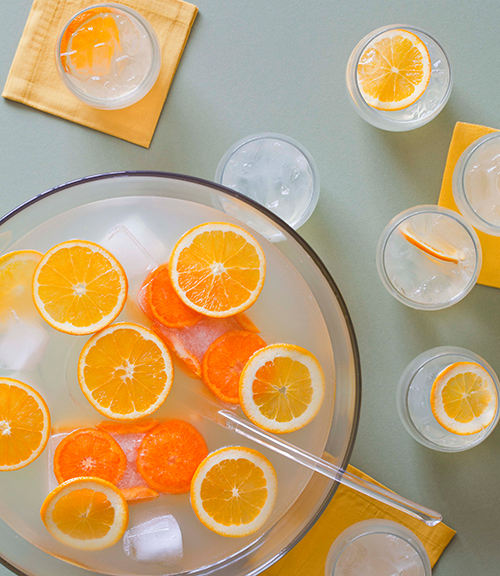 Between the fancy block of ice and simple orange-wheel slices, It looks great in a punch bowl. But it’s easy to put together and difficult to screw up. If all else fails, just pour in more bubbly. 3. As the ice melts over the course of the evening, the punch mellows a bit, but never waters down (thank you, gin), so the party keeps going until Auld Lang Syne. 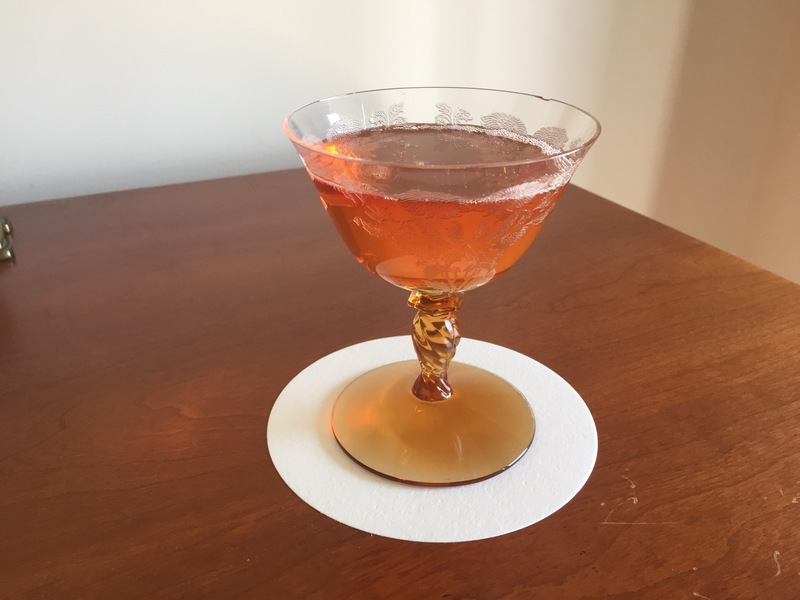 The French 75 is a classic cocktail usually made with cognac, though gin is sometimes substituted, and that’s the spirit I call for in this recipe. It typically isn’t served as a punch but works quite well in this format. Serve this fresh, fragrant variation at any occasion that calls for toasting. In a punch bowl, combine the gin, lemon juice, simple syrup, and bitters and stir well. Like this recipe? Sign up at The Dizzy Fizz now through Jan 16 for a chance to win a copy of Cocktails for a Crowd.